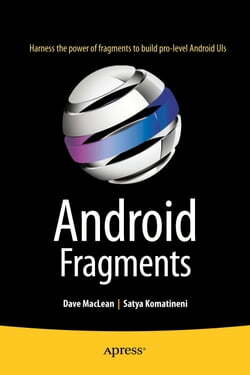 Android Fragments is a 100-page quick start accelerated guide to learning and quickly using Android fragments. You'll learn how to code for fragments; deal with config changes; code for regular vs. fragmented dialogs; work with preferences and saving state; work with the compatibility library; and... read more handle advanced async tasks and progress dialogs.After reading and using this book, which is based on material from the best-selling Pro Android, you'll be an Android UI savant. At the very least, your apps' user interfaces and event handling will be more competitive and better performing, especially for tablet-optimized UIs and events.